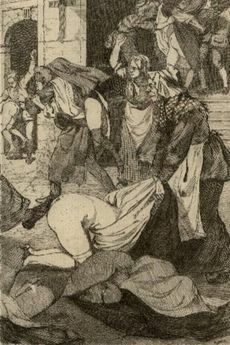 La Flagellation amoureuse dans l'histoire des moeurs et dans la littérature (or simply La Flagellation amoureuse) is a French spanking novel by Jean de Villiot (a collective pseudonym). It was first published in 1904 by Charles Carrington, with five illustrations by Martin van Maële. This page was last edited on 22 June 2017, at 17:10.